Bajaj Blade powerful scooter with the light weight and bigger storage space the vehicle is expected to attract the woman riders. Check out the review to get the features, technical specifications & price. To regain its powerful scooter image in India, Bajaj as planned to launch its new gear-less scooter Bajaj Blade. With the light weight and bigger storage space the vehicle is expected to attract the woman riders. But this doesn't mean the vehicle is meant only for women as it can serve as a perfect family scooter so even men can enjoy the ride. The stylish and sporty looks of the vehicle is expected to attract even the young men. Thus it has targeted almost all people from different walks of life. The 125 cc, four valves, DTSi engine of Bajaj Blade generates the maximum power of about 11.5 BHP. The four speed transmission of the engine is the major plus point in building its performance. The acceleration provided by this powerful engine helps for the greater pick up. The maximum speed of Bajaj Blade is expected to be close to 80kmph. The look of Bajaj Blade is very impressive and eye catchy. 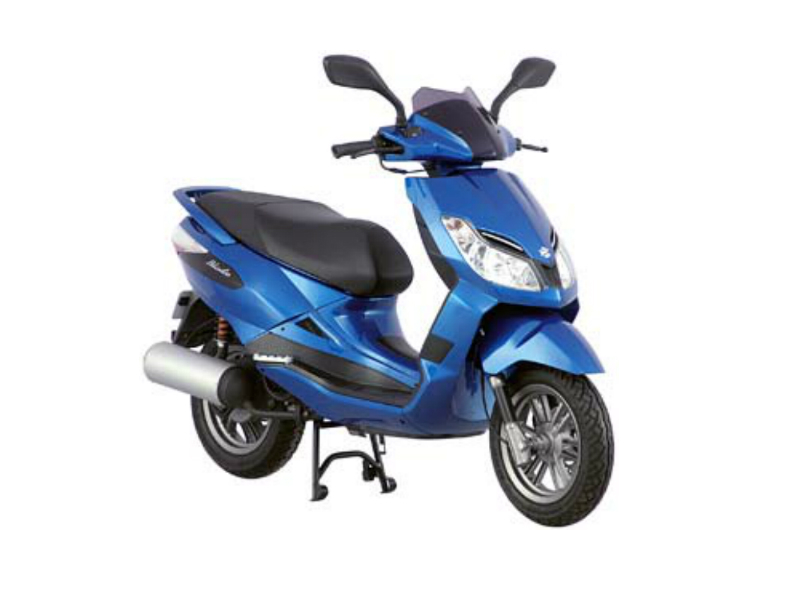 The powerful and charismatic looks of the scooter can seek the attention of passerby. The front portion of the vehicle is very promising and trendy. The embedded indicators and the graphics used in the vehicle are fresh and delightful. LED tail lights and stylish headlights offer clear visibility. The huge luggage space beneath the seat is very prominent feature. The new Bajaj Blade is expected to provide the good riding experience. The broad wheels and tyres are likely to give greater grip thereby guaranteeing the stability of the vehicle even in uneven surface. 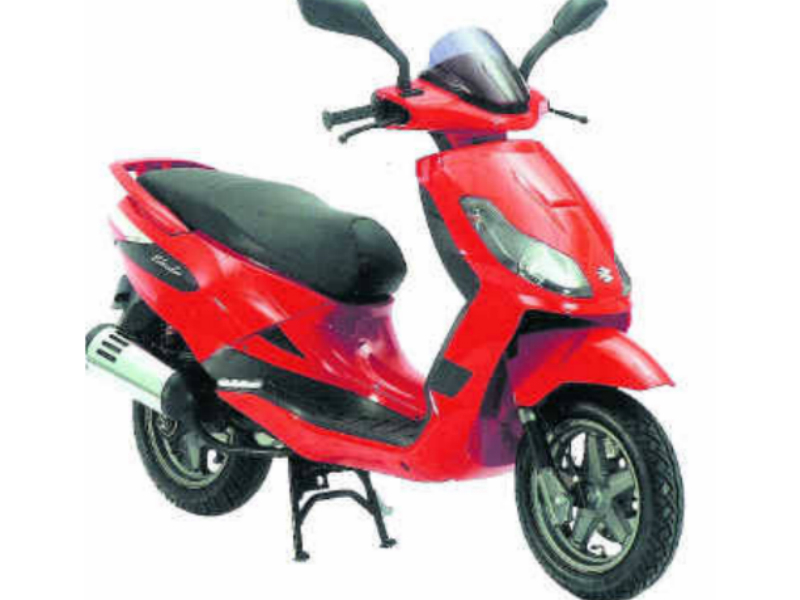 The suspension and brake system of the scooter will ensure the safety of the driver and the pillion. In the whole a good experience in the city roads. 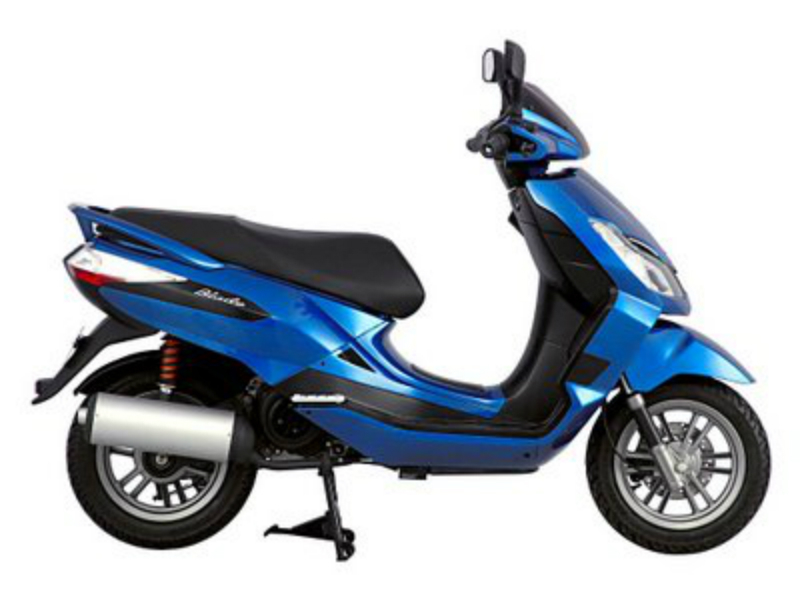 Bajaj Blade gives the mileage of about 45 Kmpl. The ex-showroom price of Bajaj Blade is about Rs. 45,000. The scooter is available in two prominent colors blue and red.